Los Angeles is a city which has long thrived on the continual re-creation of own myth. 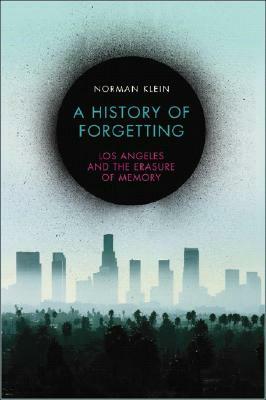 In this extraordinary and original work, Norman Klein examines the process of memory erasure in LA. Using a provocative mixture of fact and fiction, the book takes us on an “anti-tour” of downtown LA, examines life for Vietnamese immigrants in the City of Dreams, imagines Walter Benjamin as a Los Angeleno, and finally looks at the way information technology has recreated the city, turning cyberspace into the last suburb. In this new edition, Norman Klein examines new models for erasure in LA. He explores the evolution of the Latino majority, how the Pacific economy is changing the structure of urban life, the impact of collapsing infrastructure in the city, and the restructuring of those very districts that had been “forgotten”. Norman M. Klein is a critic and historian of mass culture, editor of "Fragile Moments: A History of Media-Induced Experience, "and author of "Seven Minutes: The Life and Death of the American Animated Cartoon" from Verso. He teaches at the California Institute of the Arts in Los Angeles.